It's not often that I get to play along with several challenges at once. A fabulous inspiration photo across at Fusion - Happy 5th anniversary! I decided to make a birthday card. This week I received some Acetate Butterflies in Altenew order. 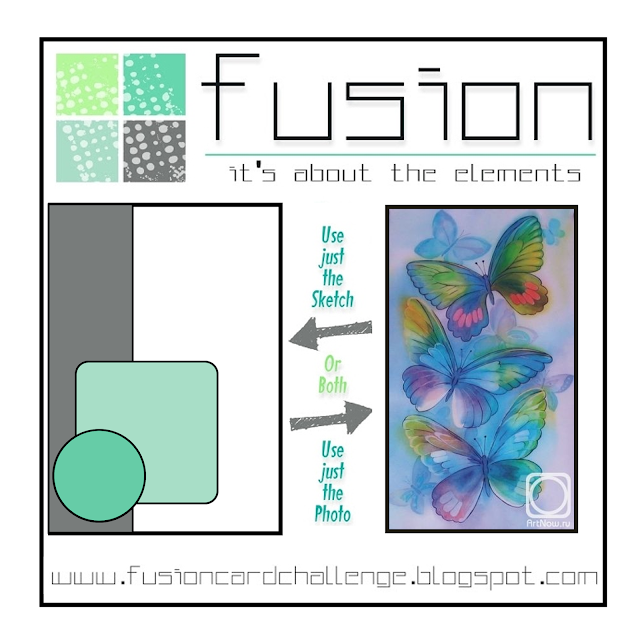 I saw the butterflies at fusion and decided that would be a great starting point and that I could tie the butterfly nicely into the sketch. Pastel colors aren't my normal go to color family, but I loved the blues/greens in the butterflies and used that as the inspiration. I took my Watercolor Stripes Stencil from Altenew and blended some Sea Glass ink onto my card base. 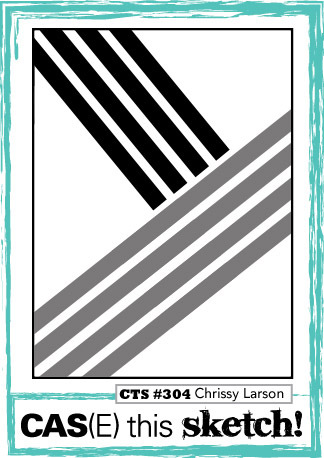 I stamped the sentiment at an angle to continue the movement of the stripes. The two acetate pieces were adhered with Gina K Connect Glue (awesome stuff, btw). Isn't that butterfly gorgeous? I love how the soft blues fit with the colors. I die-cut the focal layer with my stitched rectangles die and mounted it on fun foam. I added a couple of enamel dots and the front of the card was finished. I received a little freebie from Altenew at Christmas. A mini set called Billowing Blossoms. I decided to use that for the inside of my card and tried to keep with the outside color scheme. I was really happy with how it turned out and love the soft blue colors. When I was in my craft room yesterday, I made one more card. 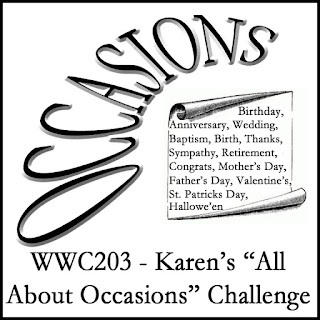 So, I will have another card to share with you this week.... if I can get enough sunshine to photograph the card. It's a dull, grey, winter day and there is no sunshine in sight. If I can get a photo today, then I will be back tomorrow with another card.